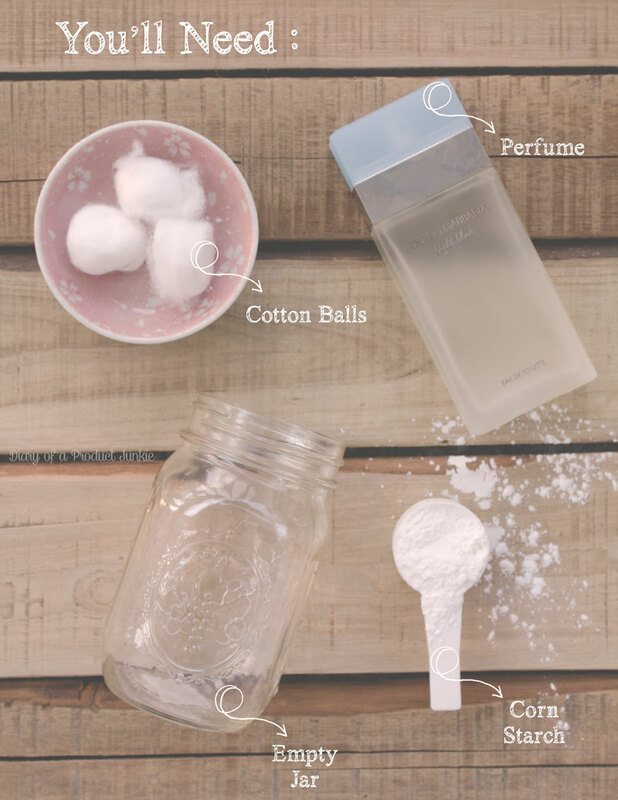 Hello, lovelies~ I was stumbling the internet last week when I found a page about making your own scented powder. Being the ever-so-curious me, I decided to try it out for myself and... It works! So, here I am sharing it to you. Let's gather out ingredients and materials, shall we? 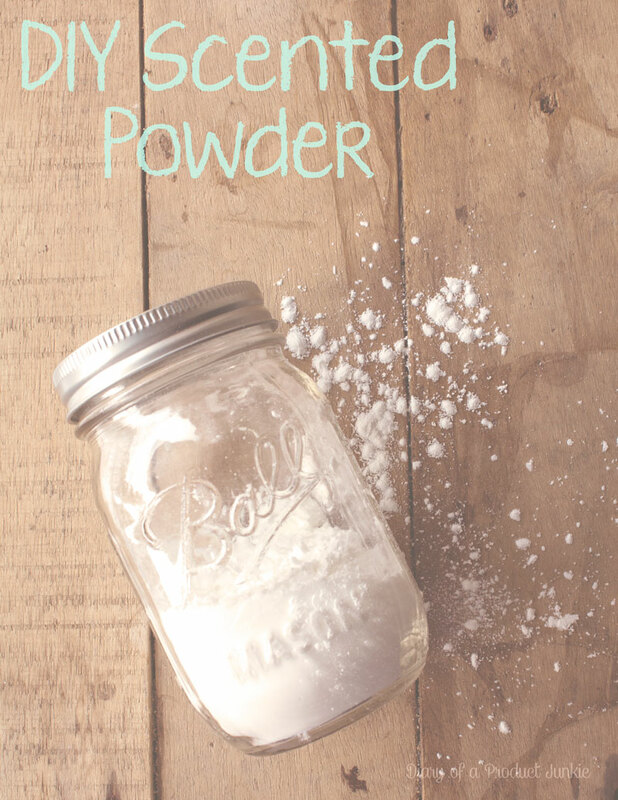 If you don't like the feel of corn starch or are allergic to it, you can substitute it with regular unscented baby powder. 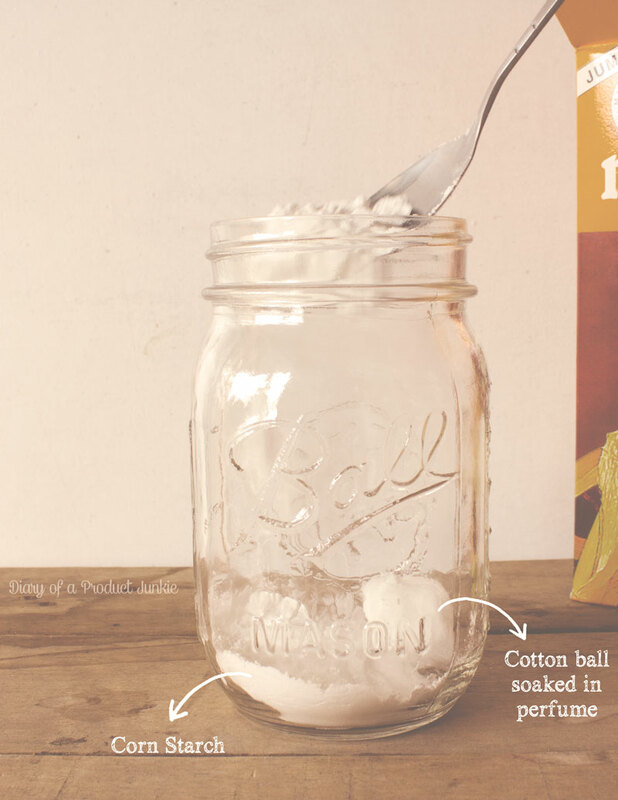 Oh, if you don't have a cotton ball, you can use something similar, such as a cotton swab or cotton pads. Now, to the fun part. Mixing things up. 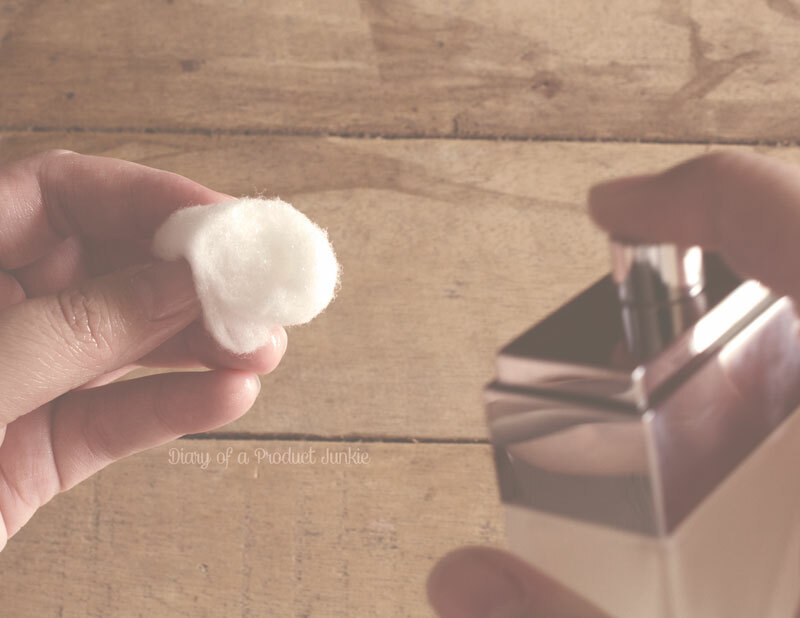 Grab one cotton ball and spray it a couple of times with your perfume of choice. I spritzed mine around 30-40 times to ensure that the scent will be strong enough. 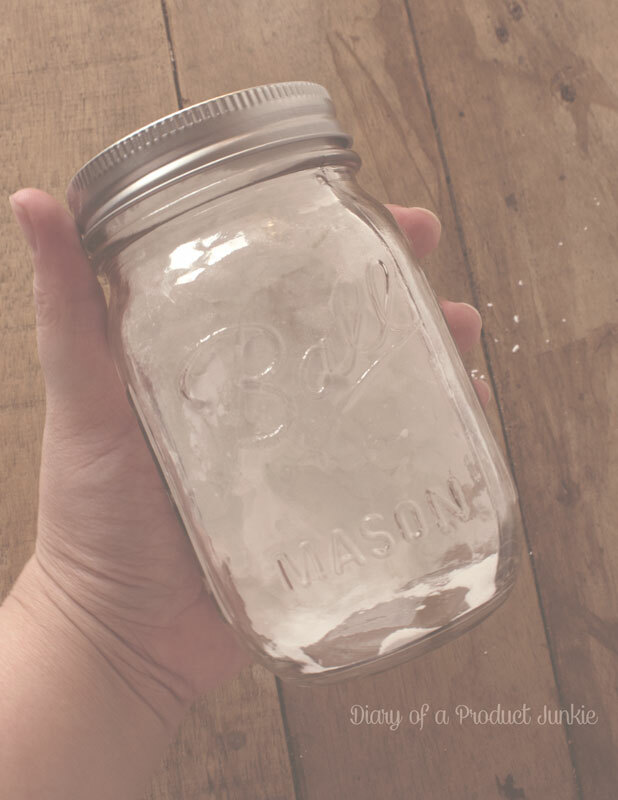 Once you feel that the cotton ball is concentrated enough, place it inside the clean jar and pour the corn starch onto it. I used around 4-5 heaping tablespoons of corn starch in this recipe. After the dunking process, I close the jar tightly and started to gently shake it a couple of times. The jar was placed in my vanity drawer, away from heat and sunlight. That's it! I've used it on my body and it gives a subtle scent, the kind where I just took a shower and there's a lingering soap scent. It's not too strong and perfect for my everyday routine. I used a puff to apply the powder because sometimes I just don't like getting it on my hands, lol. Wow! this is great, I always use powder & want to buy my fragrance but it can be pricey. 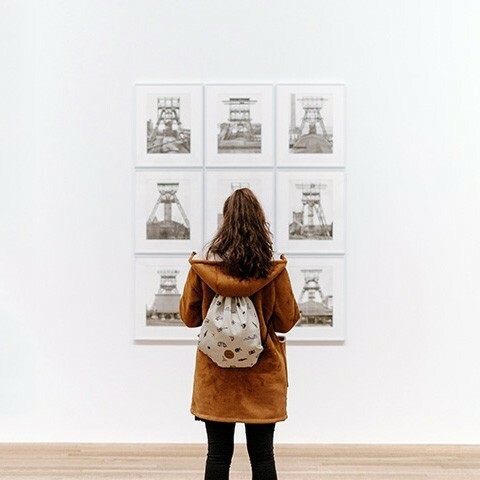 I am coming from Lifestyle Bloggers FB group & I am sharing! unscented powder ada ya ci? Ada rekomendasi merk/ beli dmn?